Medicare Part A is provided by the federal government to most people who have reached the age of 65. Some who are under age 65 with certain disabling conditions qualify, as well. You are age 65 or older and are a U.S. citizen or legal resident who has resided in the United States for at least five years. 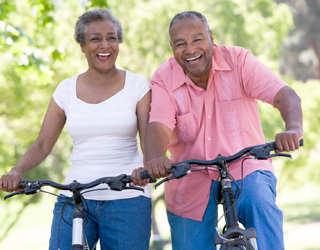 You opt to receive Social Security or Railroad Retirement Board (RRB) benefits at age 65 or sooner. You and your spouse (or former spouse) have earned at least 40 credits (10 years employment) at a job in which Social Security insurance was deducted from your payment. You have been receiving Social Security or RRB disability payments for 24 months. In this instance, Medicare benefits will start in the 25th month of receipt of disability benefit payments. You have end-stage renal disease (ESRD) and have received dialysis for three months or have had a kidney transplant. You are under the age of 65, disabled, and lost your premium-free Medicare Part A coverage because you returned to work. You are not eligible for premium-free Part A, but choose to enroll and pay a monthly premium for the benefits. $224 per month for enrollees having 30-39 quarters of Medicare-covered employment. $407 per month for enrollees who are not otherwise eligible for premium-free hospitalization insurance. This amount also applies if you have accrued less than 30 quarters of Medicare-covered employment. There is a $1,260 deductible payable at the start of a hospital stay for each new benefit period for 2015. Days 1 to 60 — After the deductible is met, Medicare covers, in full, the first 60 inpatient hospital days in the benefit period. The deductible is not an annual deductible. You may have multiple inpatient admissions during a benefit period. If so, you could pay up to four Part A deductibles in a calendar year, if more than 60 days separate each hospital stay. Coinsurance for days 61 to 90 — A coinsurance payment of $315 per day is charged for days 61-90 per benefit period for 2015. Medicare covers the balance of the hospital bill. Coinsurance for days 91 to 150 — A coinsurance payment of $630 per day is charged for days 91 to 150 to cover these “lifetime reserve days.” Medicare covers the balance of the hospital bill. More than 150 days — The patient is responsible for any expenses accrued after the 150 days of inpatient care covered by Medicare Part A. A patient may leave the hospital for 60 consecutive days, and the benefit period ends. If so, they may then enter the hospital again, with another 90 days of coverage. Days 1 to 20 — The first 20 days of inpatient care in a skilled nursing facility are covered in full. There is no deductible for SNF coverage. Coinsurance days 21 to 100 — In 2015, a coinsurance payment of $157 per day is charged for each of these days. Medicare covers the balance of the bill. More than 100 days — You are responsible for all expenses accrued after the first 100 days if SNF care continues. The benefit period may end while the patient is away from an SNF or hospital for 60 consecutive days. If so, they will receive 100 additional covered skilled nursing facility days at the start of the next benefit period. What is covered under Medicare Part A? In addition, Medicare Part A pays for inpatient care acute care hospitals, critical access hospitals, long-term care hospitals (LTCHs), inpatient rehabilitation facilities, inpatient care as part of a qualifying research study and mental healthcare. Inpatient mental health care in a psychiatric facility is covered for up to 190 days in a lifetime under Medicare Part A. You may be required to pay for the first three units of blood (per calendar year) for blood transfusions received in a hospital or SNF during a covered stay. Most often, the blood is donated by a blood bank, at no charge to the hospital. In that case, you will not be required to pay for or replace it. However, if the hospital must purchase blood for you, you are required to pay the provider costs for the first three units of blood you get in a calendar year. Or, you may be required to donate blood to replace the units you have used. You may have someone else donate on your behalf, as well. Can I continue to see my doctor? What providers must I see? When you enroll in Medicare Part A, you will want to ask your current care providers if they accept Medicare patients. In 2013, there were more than 735,000 physicians throughout the United States who were accepted by the Medicare program. These physicians agreed to take Medicare patients, as well. You can choose any qualified provider in the United States who is accepting new patients.